Hawaii is known for its culinary diversity as a result of its melting pot of cultures. At Heavenly Island Lifestyle, a restaurant in Waikiki, Chef Keigo Yoshimoto has created a menu based on these unique flavors. He only uses fresh, local ingredients sourced on Oahu and neighbor islands. Although he grew up around his family’s restaurant in Japan, Keigo never intended to become a chef. Yet he seemed inevitably drawn to cooking. When he was 24, he entered a cooking competition in the Kyushu district and placed as a finalist. Then he left for France, where he trained for a year at the Michelin-starred gourmet restaurant Lucas Carton. His French cuisine training continued for another six months at the Michelin-starred Georges Blanc restaurant. Two years later, Keigo traveled back to Japan for another cooking competition. There he met Chef Shigeru Kobayashi, who would help him open Café Miro in Honolulu, HI. After three years, Keigo became the chef at Petite Garlic, where he stayed until 2009 when the restaurant was sold and converted into Aloha Table. He went on to create menus featuring local ingredients for not only Aloha Table, but also its sister restaurants, Goofy Cafe & Dine and Heavenly Island Lifestyle. What’s Different About Heavenly Island Lifestyle? Hawaiian Pho Noodles: Made with local pork and basil and cilantro sourced from Otsuji farm. The broth is made with a technique Chef Keigo picked up in France. Local Eggs Benedict: Poached, local eggs are served with a homemade hollandaise sauce, the secret ingredient of which is lilikoi butter. It comes with an Okinawa purple potato, salad, and a wheat muffin, as well as your choice of local pork belly, kalua pig, kale and avocado, or salmon and spinach. 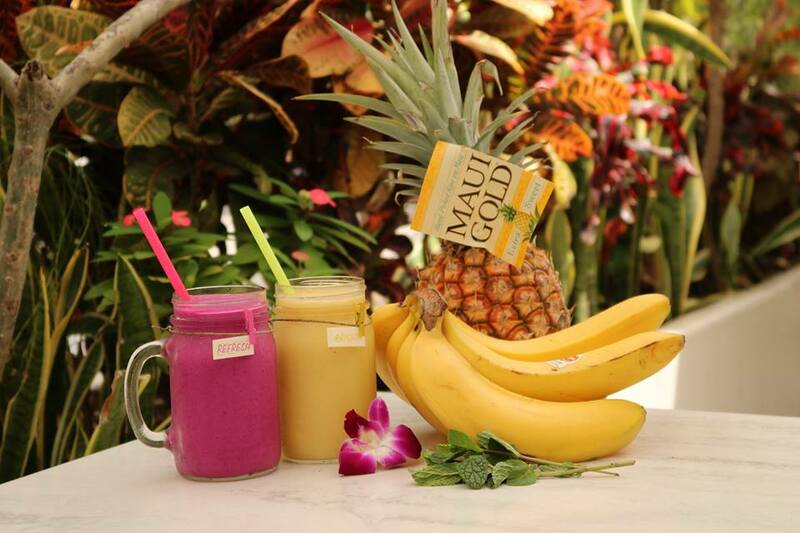 Bright Smoothie: Created with help from yoga instructors Angela Maki and Salina Storozuk, this smoothie was designed to promote heart health and anti-aging. It consists of apples, mangoes, celery, bananas, and coconut water. When you want to experience a truly healthy restaurant, visit Heavenly Island Lifestyle in Waikiki. Call (808) 923-1100 to make a reservation. Learn more about Chef Keigo’s menu options and local ingredients by visiting the website. You can also stay up to date on the restaurant’s latest items and news by following them on Facebook.